so you can use it for your New Years Celebration too! You can be #fabulouslyfestive for weeks! I know we are all short on time right now...so I will just cut to the craft! You can make this a sew or no sew project depending on your skill level or what you feel most comfortable with. 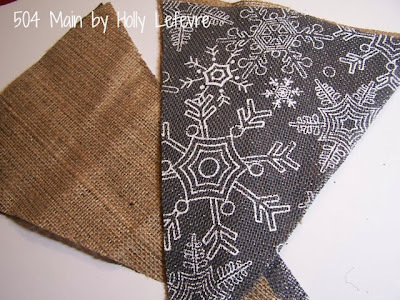 1 yard of Burlap Flakes Lurex ($5.99/yard). You do not quite need the whole yard. Red Felt. I wanted something a little nicer than the regular craft felt, so I purchased this package of Feltables Felt made of 100% Recycled Fibers. 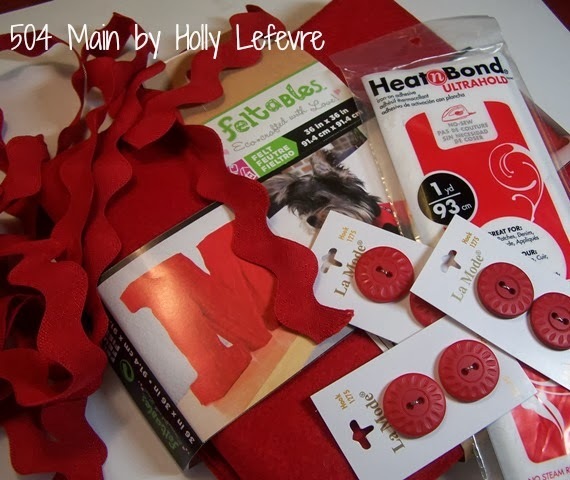 Optional: 7 Mini Wreaths (see Wreath Gift Topper Tutorial). 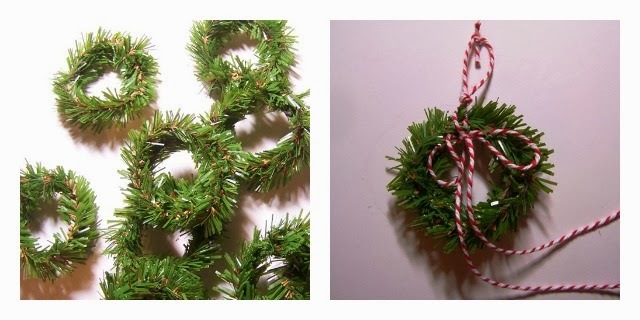 You need Canadian Pine Stems and 1/8" ribbon or bakers twine. 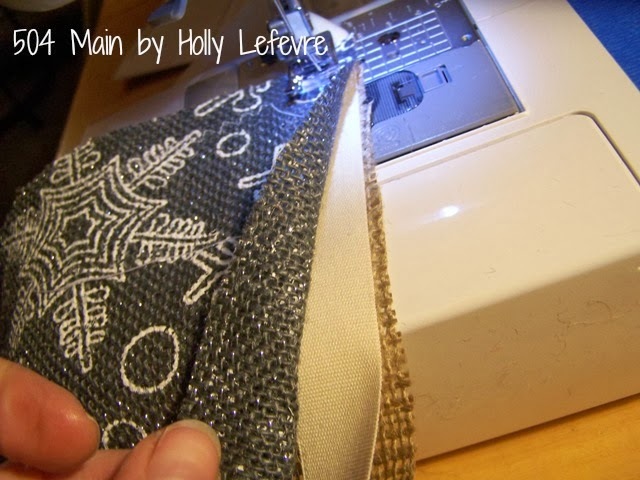 To make this a NO SEW project, use the Fabric Fusion in place of stitching. 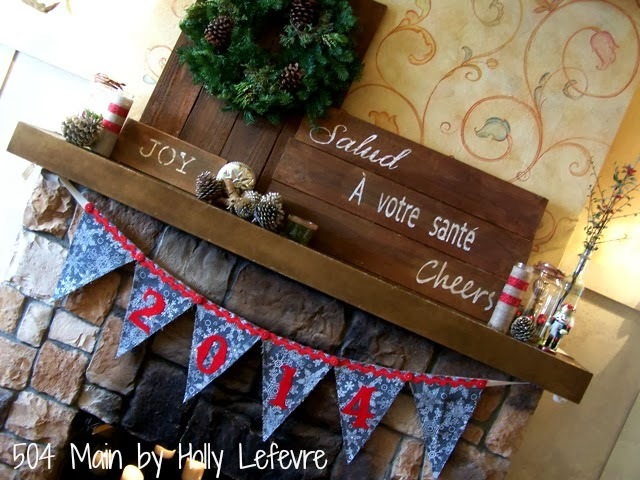 You can also simply glue down the wreaths if you choose. 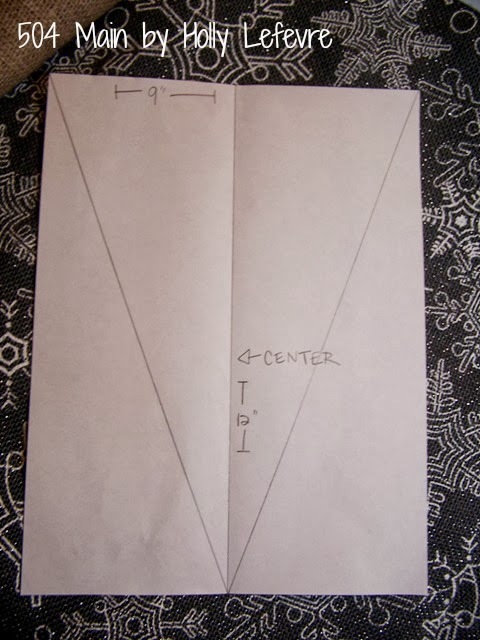 Prepare a banner pattern. Fold a piece of paper in half lengthwise; measure over from the fold 4.5"; along the fold measure down 12"; draw a (diagonal) line from the 4/5" point to the 12" point; cut out; you will have a 9" wide and 12" long triangle. 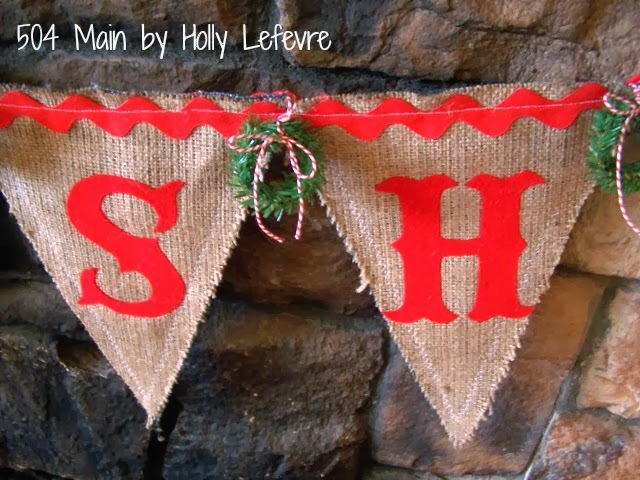 Cut 6 banner pieces in natural burlap and cut 6 banner pieces in Burlap Flakes. I laid mine out on top of each other and cut them in pairs - and them kept them in pairs as I proceeded. Begin about 1" down from the top of the banner and stitch down to the point, then come back up. I used a zigzag stitch (just because I liked it) but a straight stitch works too. When you come back to the top, stop about 1" from the top. (you are leaving room to sandwich the ribbon). Beginning about 30" in, sandwich the 7/8" ribbon between the banner pieces, butting each banner piece right up next to the other (Pin if necessary). 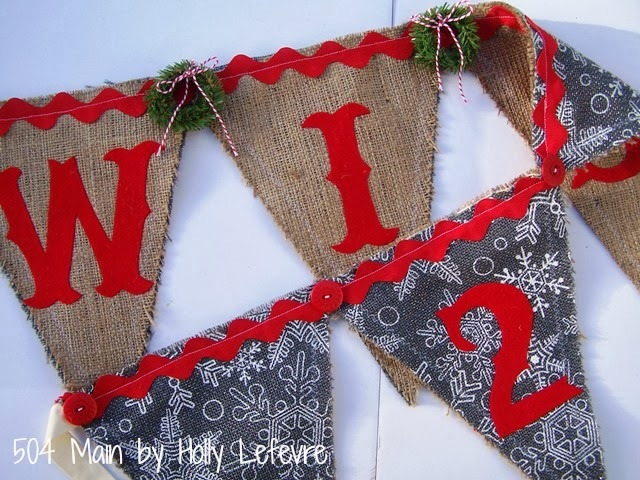 Sew using a zigzag or straight stitch through all 6 banner pieces. Place the large rick rack along the top edge of each side and pin into place. Use a straight stitch to sew the rick rack to the banner. You can swap out your thread to match or leave in in a contrast color. Trim you banner pieces and all threads. 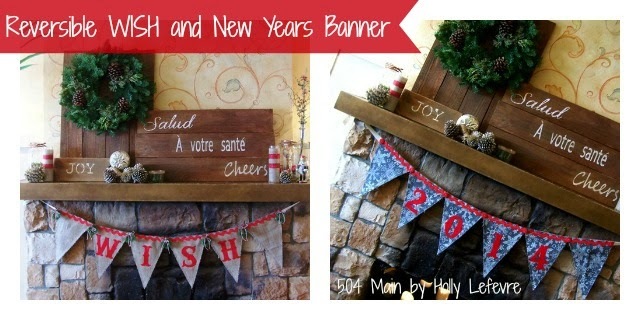 NOTE: TO USE THIS BANNER YEAR AFTER YEAR, USE VELCRO ON THE LAST TWO DIGITS OF THE YEAR, SO YOU CAN SWAP THEM OUT! Layout the Heat N Bond, smooth side up. FLIP the letters over (mirror image) and trace them onto the smooth backing of the Heat N Bond. 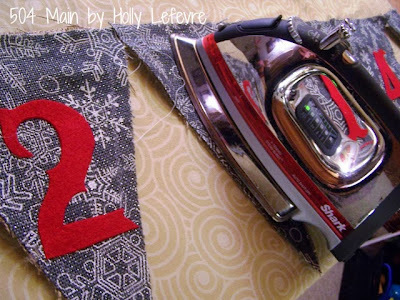 Preheat iron to medium heat (no steam); once the iron is ready, press the Heat N Bond to the felt. I line it up in a corner so that I get less waster and maximum use of my yardage. 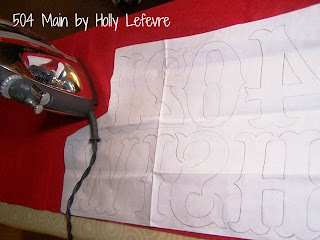 Run the iron all over the paper liner, pausing for 2 seconds at a time to adhere the Heat N Bond of the felt. Because of the makeup of the felt, I went over the area multiple times to ensure it bonded. Let cool. 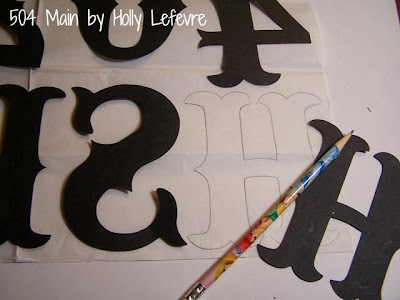 Cut around the traced letters and numbers with sharp scissors. TO ENSURE I HAD ALL OF MY LETTERS AND NUMBERS MATCHED UP CORRECTLY (BEFORE ADHERING THEM TO THE BANNER PIECES), I SEWED THE BANNER TO THE RIBBON FIRST. 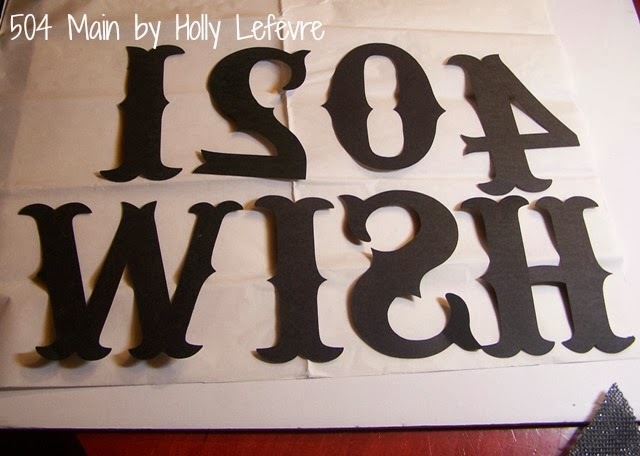 It would be super easy to have WISH or 2014 be backwards if you are not careful. With the natural burlap piece up, lay the WISH out, leaving one empty piece on each end. Peel the paper backing off of the letters, place on the banner (about 3" down from the top), Press the letters into place. 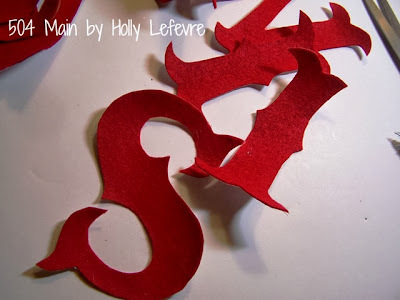 On the Flakes Lurex side (2014), I sewed the Large red buttons on each end and between the letters. When you sew the buttons on, be careful not to go all the way through the layers of fabric (so that you do not see the stitches on the other side..or if you do not like the wreaths...you can do buttons on both sides and sew them on at the same time). On the WISH side I made miniature wreaths and tied bows with bakers twine. At the base of the twine that is used to hang, I tied one knot, then tied another knot to make a loop to hook onto the button on the 2014 side (this make the wreaths removable). You can use the button to determine how big to tie the loop (about 1"). glittered pinecones, burlap candles and a few nutcrackers. Here's a 50% off coupon to get you started!
. 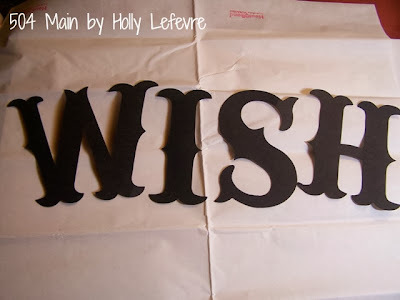 This post is written and created at 504 Main by Holly Lefevre disclosure: I was provided with a gift card to purchase supplies but the craft is original and my opinions are 100% my own. 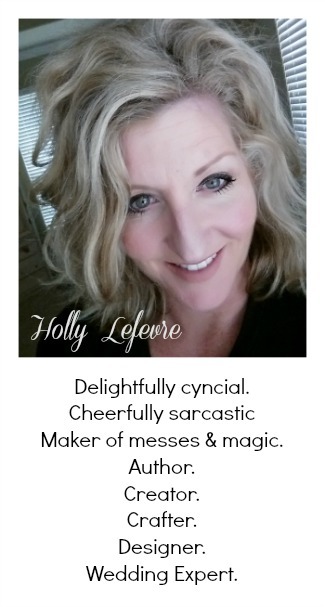 Holly, this banner is just too cute! I love how you made it reversible as I am all for multi-purposing. Thanks for sharing this great tutorial! I love this adorable banner! Wish I had a sewing machine still to make one for 2014, but I gave mine away years ago. Love the tutorial. Merry nad happy C'mas for you all. Merry Christmas Holly! 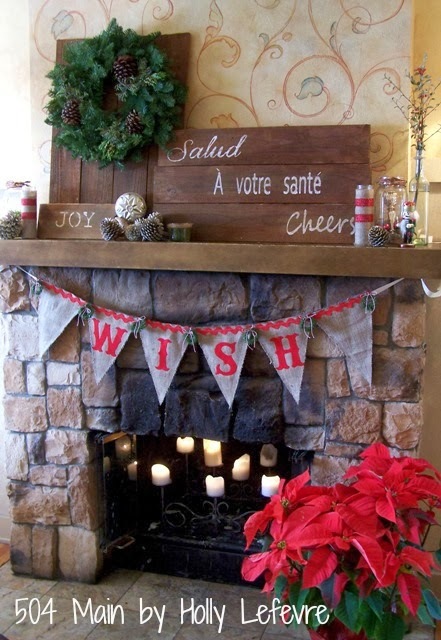 Your mantel is so pretty, plus I like the candles inside the fireplace. 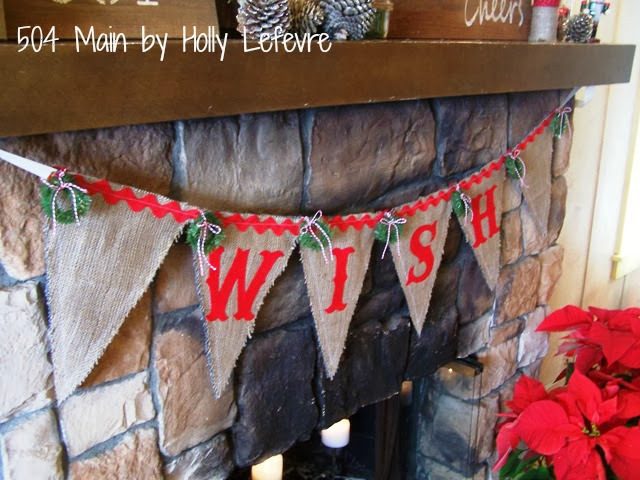 We don't use ours either so I need to do something like this...it makes a nice warm glow!